The opening scene of ‘Love and Lies’ takes place on a remote Dorset hilltop in the middle of the blazing hot heatwave of 1976. We travel back to 1975 and follow Rosie Peach as she starts her first job as a music teacher at Shaston Convent School. It is not long before she falls for the dashing David Hart, but he is haunted by his dark and troubled past and is unable to give her the love she craves. 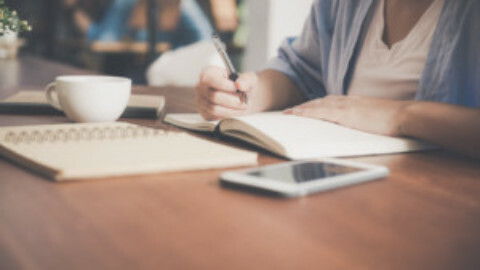 Rosie’s friend and colleague, Grace Browning, cautions Rosie against David as a suitable partner, but what exactly are her motives and who is she intent on pursuing? The situation is complicated by the arrival of Tristan Proudfoot, a conductor, who has romantic designs of his own. A madcap trio of sixth form girls keeps us entertained with their ludicrous antics while the drama unfolds and a cast of irrepressible nuns join forces with the redoubtable Miss Spiker to do their utmost to ensure the path of true love runs smoothly. The final scene before we return to tender and touching events on the remote Dorset hilltop involves a plate of chocolate eclairs and iced buns, a fight on the Nuns’ Lawn and a denouement quite possibly even more complicated and far-fetched than the silliest opera plot. In the 1820s a housewife in Fulham collected recipes and household hints from her friends. Over 190 years later I transcribed the recipes for this book. There is a comprehensive glossary of unfamiliar ingredients and methods and the story of Jean Forbes’s journey from India to a happy second marriage in London. A fascinating glimpse of middle-class social history in the Regency. 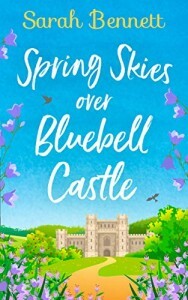 When Lucie Kennington flees the bright lights of London for the quiet Derbyshire countryside, she’s shocked to discover that the heir to the Bluebell Castle estate is far from the wizened employer she expected. In fact, Arthur Ludworth might just be the most handsome man Lucie’s ever laid eyes on – and a terrible distraction! 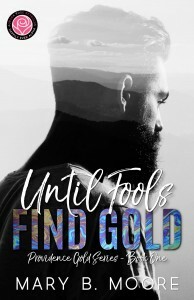 So when she stumbles across a legendary painting feared lost for centuries, she can’t believe her luck – perhaps this is the hidden treasure to save Arthur and his family from ruin? 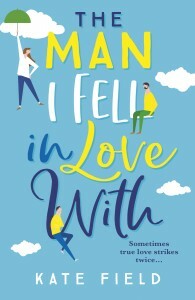 But it’s only a matter of time before Lucie’s past catches up with her and by then it’s too late, she’s falling for him… Perfect for fans of Trisha Ashley, Rachael Lucas and Hilary Boyd. Miss Theodora Cranford’s learned to keep her impetuous nature locked away. She won’t be deceived by another man who can’t see past her fortune. 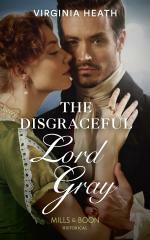 She wants an honourable, sensible sort – not a self-assured scoundrel like her new neighbour, Lord Gray. Although she’s sure there’s more to him than meets the eye… But after that first captivating kiss, she’s certainly left wanting more! 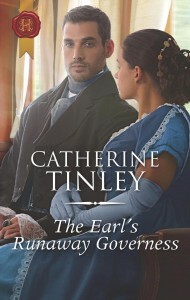 Who knew living with an Earl… would lead to such temptation? 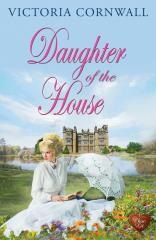 Marianne Grant’s new identity as a governess is meant to keep her safe. But then she meets her new employer, Ash, Earl of Kingswood, and she immediately knows his handsome good looks are a danger of their own! Brusque on first meeting, Ash quickly shows his compassionate side. Yet Marianne doesn’t dare reveal the truth! Ellie Simpson is attached to an Air Transport Auxiliary base in Hampshire. Life as an ATA pilot is tough, but despite the long hours and danger, Ellie can think of nowhere she’d rather be. 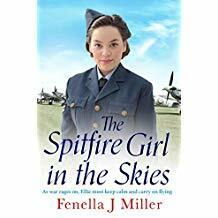 Not only does she love flying, but doing important war work, alongside new-found friends, provides a welcome distraction from worrying about loved ones fighting on the front line. Being an ATA girl is definitely exciting, but as Ellie soon finds out wearing the distinctive blue uniform also means putting her life on the line every time she takes to the skies. It will take friendship and a strength she didn’t know she possessed to help her county – and those she loves – to survive. The world is full of magic if you know where to look. 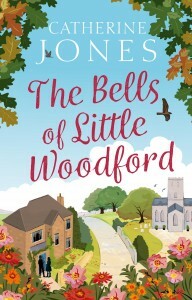 Olivia Laithwaite, a former town councillor, pillar of the WI and all-round busybody, has been forced by her husband’s gambling debts to sell their house – her pride and joy. She hates the new estate they’ve moved to and knows she needs to humble herself to apply for a job. 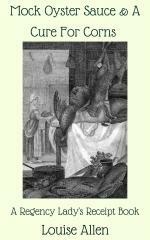 To make matters worse, a thoroughly disagreeable woman has bought Olivia’s beloved Grange and sets about objecting to everything she can, from the ringing of the church bells to the market stall selling organic local meat. It isn’t long before the town is in turmoil. 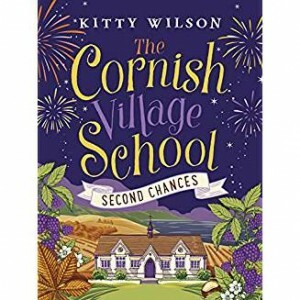 Kitty Wilson: The Cornish Village School – Second Chances. 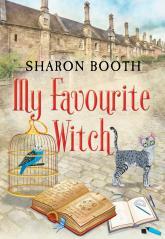 The second audiobook from Kitty Wilson in her debut Cornish Village School series. 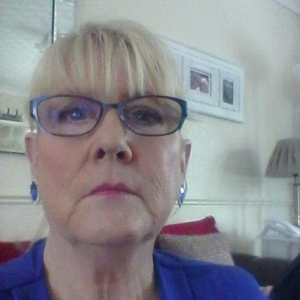 Ex-ballerina and single mum Sylvie is in trouble. Juggling her ballet classes in the nearest town, preparing shy Sam for his first day at Penmenna Village school and trying to finally move out from the farm she shares with her cantankerous Uncle Tom means life is anything but easy. Television journalist Alex is facing challenges of his own. Seeking a calmer environment for his newly adopted daughter, Ellie, he’s swapped reporting in war zones for the school PTA in quiet Penmenna, where his best friend Chase has persuaded him to start laying some roots. Fireworks ignite when Sylvie and Alex meet, but as Ellie and Sam become instant best friends, will they be able to keep things strictly platonic for the sake of the children? 2012 Doctor Tess Le Prevost, Guernsey-born though now living in Exeter, is shocked to inherit her Great-Aunt’s house on the island. As a child, she was entranced by Doris’s tales of their ancestor, Eugénie, whose house this once was, and who, according to family myth, was particularly close to Hugo. Was he the real father of her child? Tess is keen to find out and returning to the island presents her with the ideal opportunity. 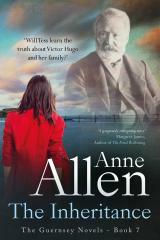 Will she discover the truth about Eugénie and Hugo? A surprise finding may hold the answer as Tess embraces new challenges which test her strength – and her heart. A woman is standing in the middle of the road – covered in blood. The more Ottilia finds out the more complicated the case becomes. Matthew Trevelyar leaves his job in London to return to his Cornish roots in the village of St Agnes. After losing his wife to leukaemia, he wants to make a fresh start. His new life is going well until Matt returns to his cottage to discover a grim warning on his doorstep. The message is clear? Leave now and go back to London. 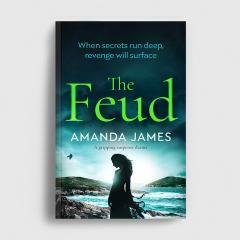 Not wanting to give up his new life, Matt eventually discovers that there has been a 200-year-old feud between his family, the Trevelyars, and another local family, the Penhallows. When Matt learns that one of his ancestors burned down a barn belonging to the Penhallows and that a child died in the fire, he understands why his family name is mud. But why is Matt paying for the sins of his ancestors now? And is there more to the feud than meets the eye? Evelyn Pendragon is spirited but lonely, and largely ignored by her parents whose attentions are taken up with her brother, Nicholas: the expected heir to the family’s Cornish estate and the one who will carry on the Pendragon name. 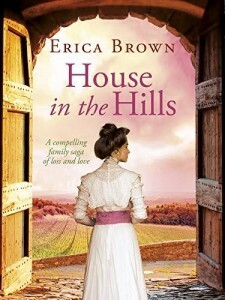 Stifled by her aristocratic existence, Evelyn finds companionship in an unlikely place when she befriends Drake Vennor, an apprentice gardener on the estate. 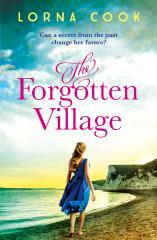 But When Evelyn’s life is thrown into turmoil by a tragedy, she realises just how much she has come to rely on Drake. Will family expectations and the burden of the Pendragon name mean she must turn her back on him when she needs him the most? 1939. War has broken out – hundreds of children are evacuated to the countryside to keep them safe from the bombs raining down on the cities. 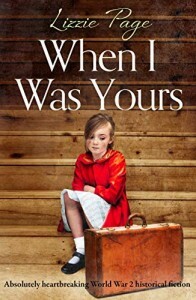 Wrenched from her family in the East End and sent more than a hundred miles away, seven-year-old Pearl Posner must adapt to a new life away from everything familiar. Vivienne didn’t ask for an evacuee child. In fact, she’s not sure her heart can take it. So many years, so many disappointments… Vivi’s ability to feel love left her the day she learned the truth about her husband Edmund, and when she made the worst decision of her life and left her cherished sister to her fate. But like it or not, Pearl is here to stay, and what with the rumours about what’s happening to children in mainland Europe, it might be the last safe place for her. Two years ago, my dad had packed us up in the middle of the night and we’d left town. We weren’t allowed to contact anyone or look back – until now. I’d run away, going back to the only security I’d ever known with my best friend Levi and his family. Coming home was hard. Although I got to see my best friend again, it also meant seeing the man I’d been in love with since I was six years old – Noah Townsend. Working for him brings us into close contact and makes my no fraternization with the family members of my friends rule difficult. One trip to Vegas to visit his friend Sven and a lot of alcohol later, I woke up Mrs Townsend. The problem was, I didn’t wake up in our hotel room or with him beside me. Noah “Don’t touch my best friend” my brother told me. It’s like being told not to push the button – you bide your time until no one’s around and then pounce. Now that Luna was back, I was pushing the damn button, and I didn’t care what he had to say about it. She’s mine to protect, mine to love, just plain mine. My trip to Vegas wasn’t for the reasons that I told her it was, and there was little room for things to go wrong. But I woke up the morning after our wedding and she was gone. Luna is my wife, my world, my boom, and I will find her. 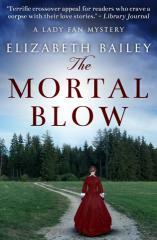 Society bluestocking Lilith Fitzgilbert is the last person anyone would expect to create a scandal. Maverick antiquarian Edward Makepeace is the last person anyone would expect to take on a female scholar. And when Lilith joins Edward’s excavation of the Devil’s Ditch near Newmarket, neither of them expect to find a dead butler. Nor, on top of everything else, do they expect to fall in love. 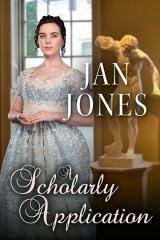 ‘A Scholarly Application’ is the seventh Newmarket Regency by Jan Jones and the third in the Furze House Irregulars series featuring women of spirit, women of courage, women who don’t see why, in this male-dominated Regency era, they should not also play their part in bringing wrong-doers to justice. 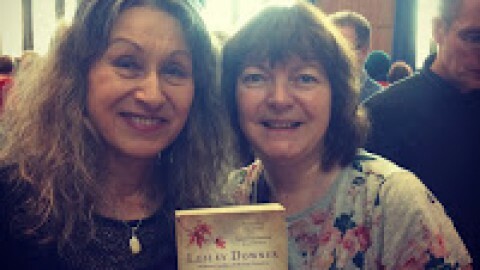 The first book in The Ironbridge Saga series. 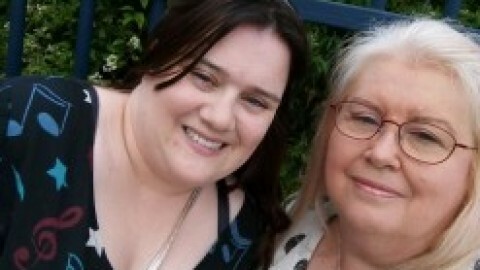 Anny Woodvine’s family has worked at the ironworks for as long as she can remember. The brightest child in her road and the first in her family to learn to read, Anny has big dreams. So, when she is asked to run messages for the King family, she grabs the opportunity with both hands. 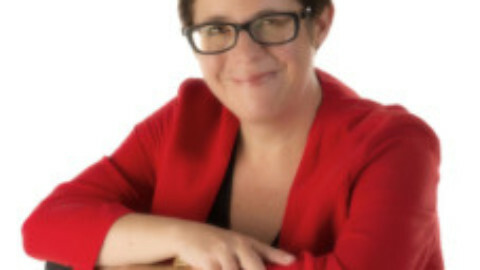 Margaret King is surrounded by privilege and wealth. But behind closed doors, nothing is what it seems. When Anny arrives, Margaret finds her first ally and friend. Together they plan to change their lives. 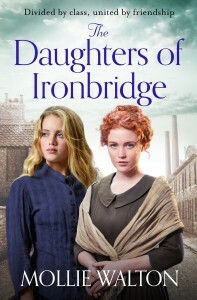 But as disaster looms over the ironworks, Margaret and Anny find themselves surrounded by secrets and betrayal. Can they hold true to each other and overcome their fate? Or are they destined to repeat the mistakes of the past? Within the tangled vines of a forgotten garden, can a blossoming new love overcome an ancient evil that threatens both the living and the dead? Whitmore Hall is a respected but remote boys’ school where a brute reigns as headmaster. With its forsaken walled garden, a tragic past, and midnight footsteps heard from an empty clocktower, it’s a place where the dead are rumoured to walk. Cecily, the headmaster’s wife, finds an unlikely ally when the unorthodox Raf de Chastelaine arrives as a new teacher. 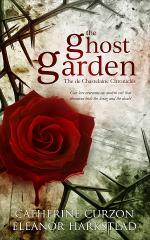 When they team up to untangle the mystery of a ghost garden which emerges from the sunbleached soil, Cecily’s chance of happiness is threatened by her tyrannical husband. But is the controlling headmaster acting of his own free will, or is he the puppet of a malevolent power from beyond the grave? 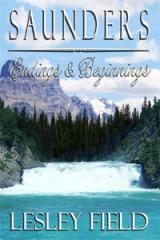 Lesley Field: Saunders-Endings and Beginnings. Corey Saunders had grown up with everything he wanted, except one thing, his mom. The revelation of the lies and deception which had destroyed his family had turned his world upside down. But they were now in the past, an unpleasant, but not forgotten memory. His mom was back in his life and she and his dad were happy, and they were all learning to adjust to their new family. His own life was good. He was married to Laura and they now had their own family. Everything was perfect. Too perfect. When life kicks you, it kicks you hard as he found out. Nothing he could do, no amount of money could change things. All he could do was face up to life, and move on. But when moving on annoyed the hell out of him, drove him to distraction, what could he do? And what would he do when he discovered things were not as he thought? 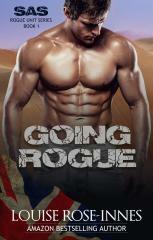 Lies and deception had torn his family apart once, was he prepared to take a chance. Was he able to forgive and see beyond it? Meet Rachel, the beautiful bride with BIG plans for the perfect day! The venue is a castle and the dress is designer. It’s just a shame her husband is a rat. Maddie and Sally have only one thing in common – they both love the same man! 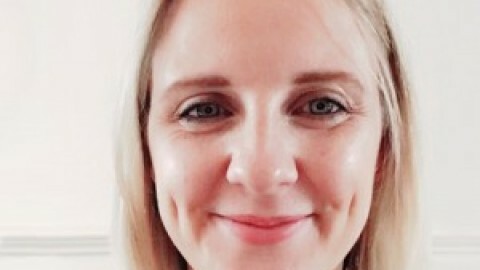 Beth is a newly single mum with a mystery baby daddy. Surely the father isn’t someone the girls all know? And then there’s Jane, the glue holding them all together, but being dumped doesn’t make her the happiest bridesmaid… especially with gorgeous flatmate Freddie complicating things. Will the bride say, ‘I Do!’? 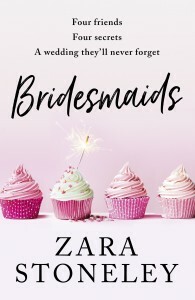 Or will her bridesmaids save the day…and find love along the way? The most hilarious, feel-good rom-com of the year! 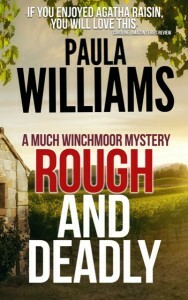 PAULA WILLIAMS: ROUGH AND DEADLY. Everyone knows Abe Compton’s Headbender cider is as rough as a cider can get. But is it deadly? When self-styled ‘lady of the manor’, Margot Duckett-Trimble, announces she wouldn’t be seen dead drinking the stuff, who could have foreseen that, only a few days later, she’d be found, face down, in a vat of it? Kat Latcham’s no stranger to murder. Indeed, the once ‘sleepy’ Somerset village of Much Winchmoor is fast gaining a reputation as the murder capital of the West Country and is ‘as sleepy as a kid on Christmas Eve’ when it’s discovered there’s a murderer running loose in the community again. Kat has known Abe all her life, and she is sure that, although he had the motive, he didn’t kill Margot. But as she investigates, the murderer strikes again. And the closer Kat gets to finding out who the real killer is, the closer to danger she becomes. This second Much Winchmoor mystery is once again spiked with humour and sprinkled with romance – plus a cast of colourful characters, including a manic little dog called Prescott whose bite is definitely worse than his bark. 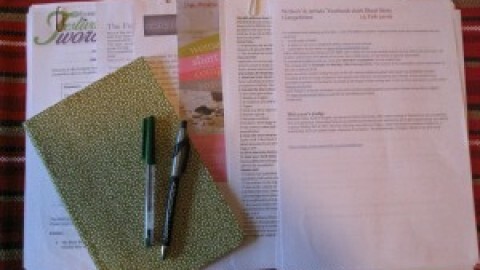 New Publications are brought to you each month by Sheila Riley. sagas set in and around the Mersey Docklands. 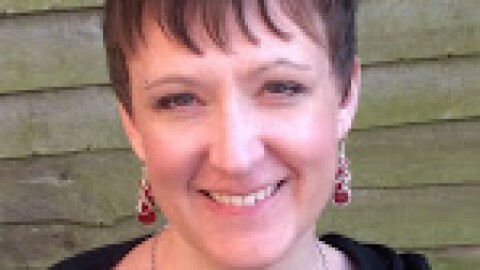 She is represented by Felicity Trew of the Caroline Sheldon Literary Agency.